A signed one sheet poster made for Francis Ford Coppola's Tucker: The Man and His Dream. 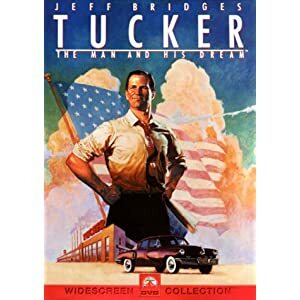 This poster shows automobile entrepreneur Preston Tucker (Jeff Bridges) leaning against the car he designed. George Lucas' signature is present, in marker, just below the film's title. Lucas served as executive producer for the film and the film was released under the Lucasfilm company. Showing some signs of wear, such as wrinkling along the edge, this poster is in overall good condition.